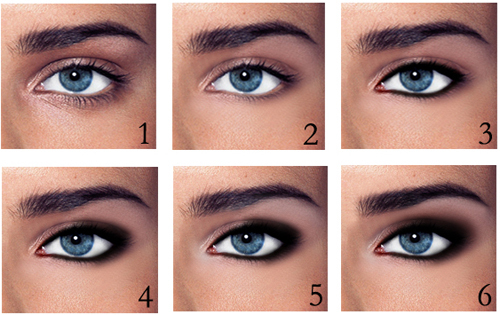 You want a simple step-by-step guide for a quick, easy and versatile smoky eye? You got it. By “clean face,” I mean no makeup. Prep your skin with eye cream and moisturizer. Give them a few minutes to sink in. Mehwish is a Chicago-based professional makeup artist who also has her own lifestyle blog at www.theuntrendygirl.com. DON’T FORGET TO JOIN BATF’S FACEBOOK GROUP! Which concealer would you recommend? I have dark skin (I’m Indian). I’m having trouble finding a food concealer to cover my very dark circles. I like Miracle Skin Transformer’s concealer, IT cosmetics bye bye under eye concealer in Tan, and TheBalm TimeBalm concealer in Medium/Dark. If your circles are really dark, try covering it first with a orange-base (like in Make Up For Ever’s palette) to cancel out the grays and then follow with a matching concealer! If you wanted to try the smoky eye in plum or browns would you use those colored eye liners or still the black? sіte. Keeρ uр the grеat wrіting. THIS IS AWEESOME! MY EYES LOOK AMAZZZING!